oban tate-e 38.6 by 25.1 cm. 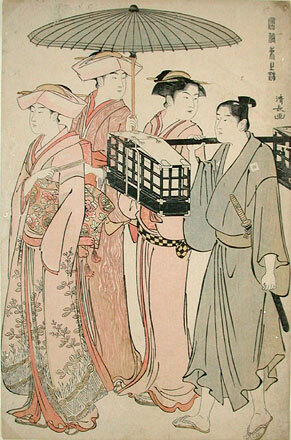 For comparison see Hirano, Kiyonaga: A Study of His Life and Works, Museum of Fine Arts Boston, 1939, plate no. 577, p. 325.